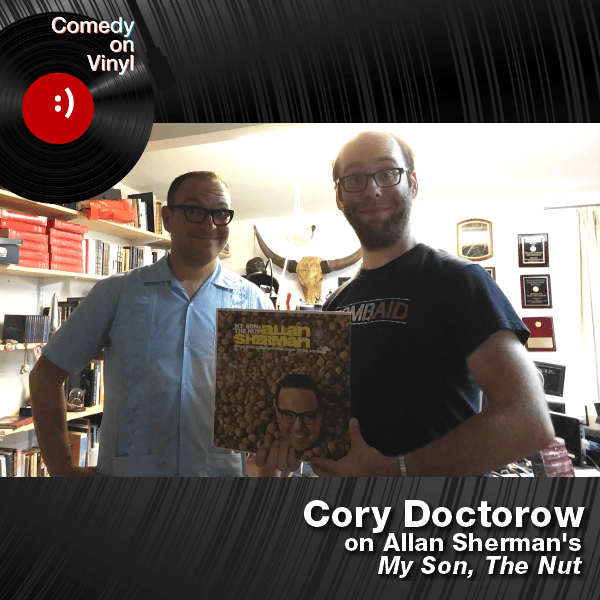 Jason Klamm stopped my office to interview me for his Comedy on Vinyl podcast, where I talked about the first comedy album I ever loved: Allan Sherman's My Son, the Nut. I inherited my mom's copy of the album when I was six years old, and listened to it over and over until I discovered -- the hard way -- that you can't leave vinyl records on the dashboard of a car on a hot day. Our discussion ranged far and wide, over the golden age of novelty flexidiscs, Thomas Piketty, Hamilton, corporate anthems and many other subjects.